Destiny 2 Gameplay Reveal Invite Welcomes You To "A World Without Light"
Light is what Destiny players so kindly refer to as “space magic” and it essentially enables everything that the guardians in Destiny were able to do, from their abilities to even being alive in the first place. Ghosts are the small floating companions that help them channel this Light from the Traveler, acting as a conduit. The Light of the Traveler enables humanity’s last defense to fight back the darkness, and if this quote is anything to go by, guardians may be without the primary source of their power in Destiny 2. The reveal trailer has already shown that the Tower is under assault and all possessions from Destiny have been destroyed going into the sequel. Given that the above quote and image are the first things seen when opening the invitation, it stands to reason that the loss of Light will play a major role in Destiny 2. Underneath, there was also a pin in the form of a black ghost, another foreboding sign that the Traveler’s Light is no longer present. PlayStation LifeStyle received an invitation and we will be at the event live to get up close and personal with Bungie’s latest. 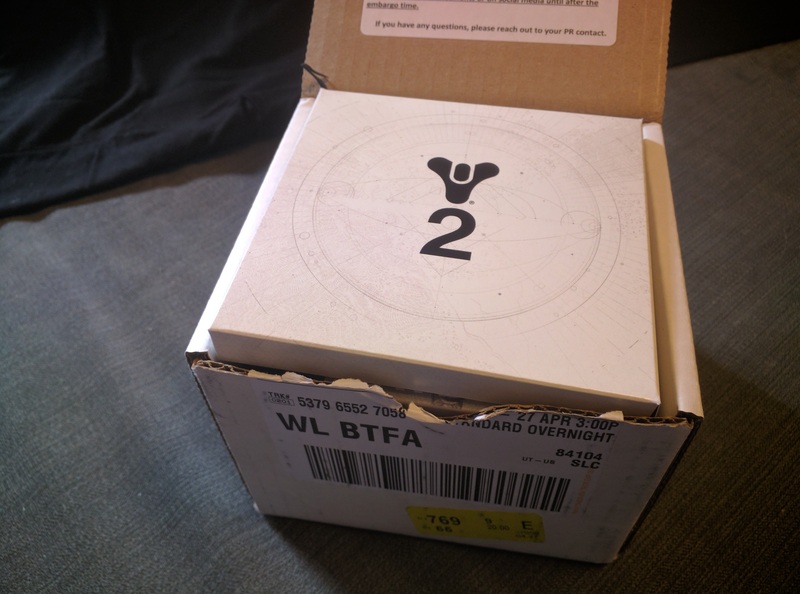 You can check out the gallery below for an unboxing of the invitation, and be sure to stick with us on May 18 and beyond as we learn more about Destiny 2.